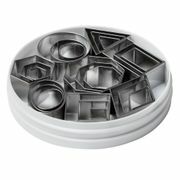 This set of cutters includes eight geometric shapes including; Diamond, Rectangle, Square, Diamond, Hexagon, Octagon, Oval & Round. 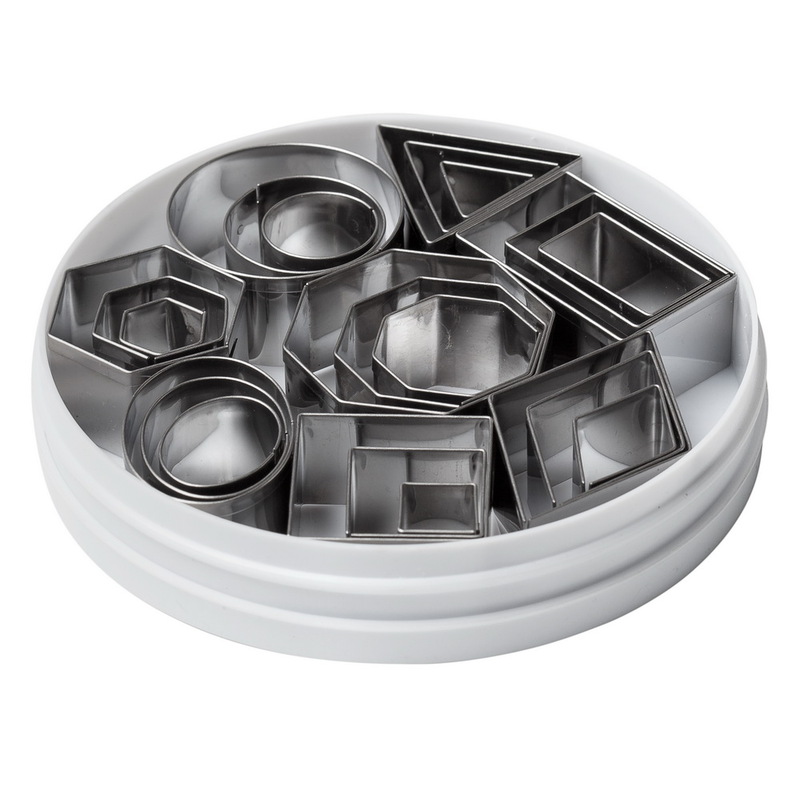 These Professional grade Stainless Steel cutters can be use for Pastry applications, or for cookie cutter as well as for cake & cupcake decorations. The sizes of these cutters range from 1/2" to 2" and are manufactured by Ateco.